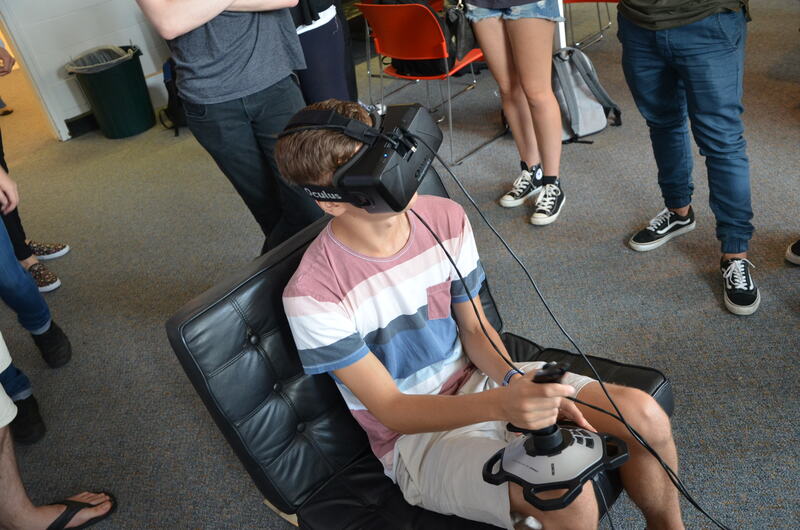 This week was rather exciting for me, first of all I got to use an oculus rift for the first time. Me on the oculus rift. I like this one most as I look like a dog tilting its head in confusion. Then, as a group we developed and idea for a board game. The task itself was to recreate a video game as a board game. We chose Mario Kart as a basis of our idea as it is cyclical around the board, has various characters and interesting mechanics. The first order of business was to avoid getting sued by Nintendo, thereby despite subjective similarities The board game Kario Mart, has nothing to do with Nintendo’s Mario Kart. Working closely with several other students (particularly Matt Armstrong and Daniel Nesbitt) we began formulating ideas. The move space itself was rather simple, and is illustrated simply by Matt in his blog. The rough map of Kario Mart. This was pulled from Matt’s Blog, Click on through to check out his post. Further altercations and ideas were added such as, which items may be used, the penalties and benefits of meeting such events and a further shortcut was added on the right hand side of the board. We tried to keep the ideas simple yet still dynamic and challenging so the game could be played more than once without becoming stale. Future prospects for Kario Mart are on hold however. Lastly, and probably most excitingly, Daniel Nesbitt and I, at the conclusion of the class, came up with the idea of a board game in the vein of the ‘Life’ board game at the University of Wollongong. Where everyone is given a degree and follows the path. Mechanics include getting lost in building 19 and missing a turn, or having too many drinks at Uni Bar. We shall see how this progresses.